Stackable, moulded plywood dining chair and barstool with epoxy coated or chrome plated legs. Fabric upholstered barstool and lounge chair, also available in upholstered leather. Stackable, moulded plywood chair with epoxy coated or chrome plated legs. 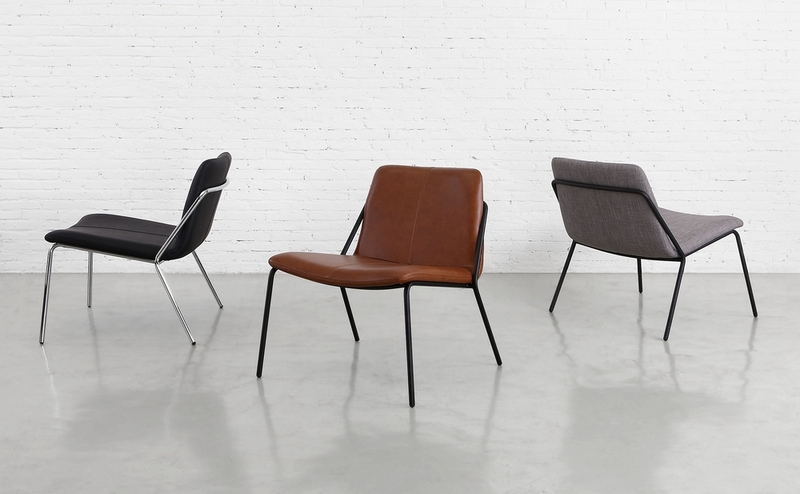 Also shown in leather and available in fabric upholstery. Stackable, moulded plywood chair with epoxy coated or chrome plated legs. Barstool and counter stool. 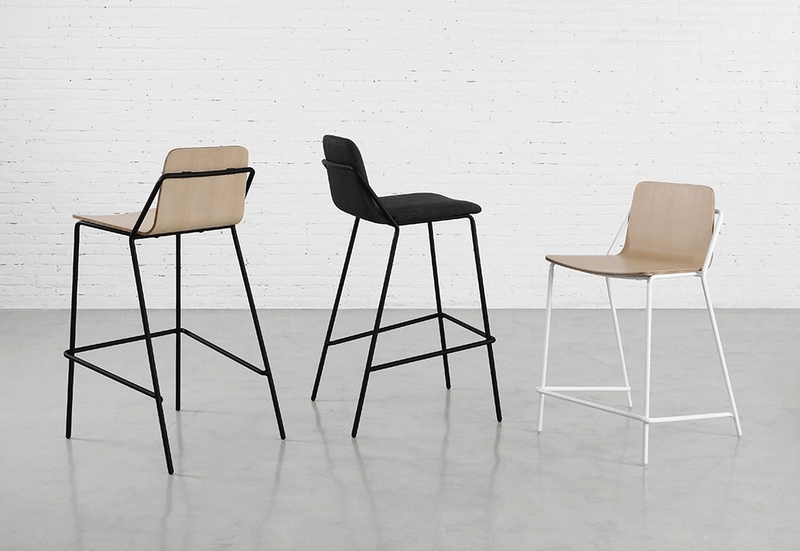 Stackable, moulded plywood chair with epoxy coated steel legs. Also available in leather or fabric upholstery.